Fintech has become a true global phenomenon, attracting US$17.4 billion in venture capital in 2016, an 11% increase compared to 2015, according to data provided by PitchBook. While China, the US and the UK remain the clear leaders in the field, other unexpected countries are seeing their domestic fintech sector rapidly grow. In Central and Eastern Europe (CEE), Austria is home to very successful fintech ventures. Some are already global leaders in their field of expertise, while others have just begun expanding to other parts of Europe. Today, we look at some of Austria’s hottest fintech startups. Wikifolio is a leading social trading platform with the goal of “democratizing” the investment business that brings together traders and individual investors. All registered users can compare themselves with others and are provided with access to financial data in real-time. At the same time, they can identify and follow the best investors. 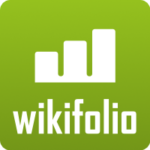 Traders can turn their wikifolios into financial products listed on the Stock Exchange. So far, the solution is only available in DACH-region (Austria, Germany and Switzerland) countries. Over 10,000 wikifolios are available to customers. Founded in 2015, Baningo is a Vienna-based fintech startup that offers a browser for finding online banking advisers. For bank advisors, Baningo provides a completely new sales-pipeline. All advisers have a profile outlining their competencies, expertise, previous career and availability. Customers can filter the database by location, bank, area of expertise and language. Current partners of Baningo include Bank Austria, Raiffeisen, WSK Bank and Oberbank. PredictR is a consumer financial forecasting platform. The solution turns personal transaction lists into cash flow forecasts and lets users explore their “financial future” in interactive graphs. Users can create specific events in the future to investigate their implication on personal cash flow. PredictR is a product of Mantigma GmbH, predictive analytics and software development company based in Vienna. 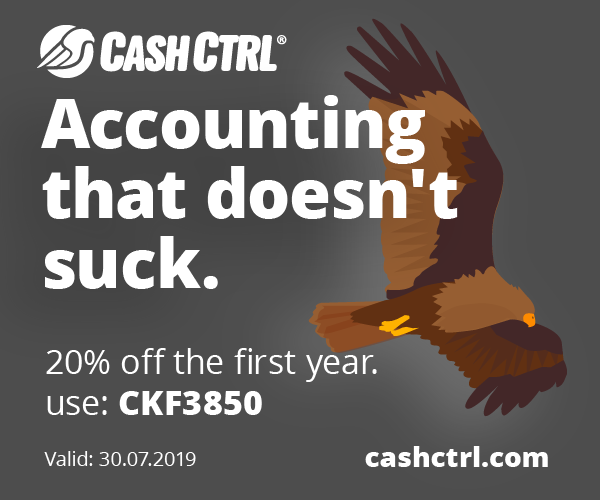 Cashpresso works like the overdraft on a bank account. Once users register, they gain access to as much as €1,500 and there are no fixed costs or fees. The company only charges an interest rate of 9.99% on the amount users actually borrow, and users can choose among various repayment models. Cashpresso is a brand of Credi2 GmbH, a fintech startup founded in 2015. It serves customers with German and Austrian nationalities. Cashpresso is a partner of Deutsche Handelsbank, a fully licensed German bank. Coinfinity is a Bitcoin and cryptocurrency startup based in Graz, Austria. 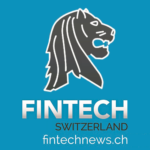 Coinfinity creates products and solutions around Bitcoin and operates Austria’s first Bitcoin ATM. With Bitcoinbon, Coinfinity provides a way to quickly and securely purchase Bitcoin in more than 600 retail outlets throughout Austria. Coinfinity also offers consulting services and helps merchants accept Bitcoin payments. Conda is Austria’s largest crowdinvesting platform. It has attracted EUR 8.47 million in invested capital to date and claims to have successfully funded 42 projects. On Conda, investors can allocate amounts starting from EUR 100 to support businesses of their choice that are currently seeking funds. In return, investors receive the right to future dividends and can also become entitled to additional bonuses from startups such as gifts, discounts and special offers. Headquartered in Vienna, NF Innova is a software company specializing in omni-channel customer interactions products. NF Innova provides banking clients with iBanking, an interactive banking online portal. In addition to improved financial modules and integration with heterogeneous systems, iBanking enables data collection and analysis for the purpose of quality reporting and use in marketing campaigns. The information display is adaptable to customer preferences, segments and the channels used, and the app design can be adapted to the bank’s corporate standards. 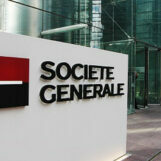 Key clients of NF Innova include Raiffeisen Bank, Societe Generale and Banca Intesa Sanpaolo. Founded in 2015, L’amie Direkt is the first 100% online direct insurance provider in Austria, offering Atomversicherung (insurance against nuclear accidents) as well as home and household insurance products. Besides offering insurance products, the startup also offers free consultation for those who are facing issues with their premium collection from other companies. L’amie Direkt maintains a blog with tips on how to act in cases of emergency, natural catastrophes and other insurance-due situations. kWallet combines a digital wallet with loyalty card storage. Mobile payments are processed using Bluetooth Low Energy (BLE). The app offers bonus features, such as the collection of kPoints, which can be redeemed against gifts, and a special functionality for tipping at restaurants. Customers can protect access to kWallet with Touch ID (fingerprint recognition) or with a five-digit kWallet code. kRegister, the kWallet application for merchants, aims to complement Apple Pay, Google Wallet, SAMSUNG Pay and kWallet, by enabling businesses to accept payments from mobile wallets without the need of any additional hardware. Founded in 2011, Smart Engine provides digital loyalty marketing solutions for banks and financial services firms. The platform allows clients to attract new customers, build up long-term customer relationships, and improve customer experience. Blue Code, previously known as Veropay, facilitates mobile payments with a smartphone using a barcode that is accessed in a dedicated app. 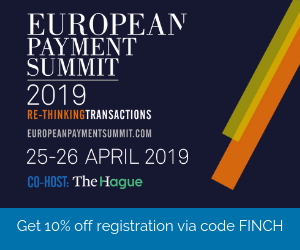 The payment method is available to all customers, regardless of their banking services provider, but Erste Bank and its Sparkassen have recently become the solution’s strategic partners. 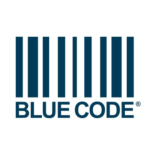 Blue Code is steadily expanding its acceptance network and is currently available at over 4,500 outlets and partnered businesses, 18,000 cash registers at various retailers spread across Austria, and covers approximately 80% of the country’s food retailers. Founded in 2012 and based in Vienna, DaoPay is payment solution provider for online payments. Daopay operates in more than 70 countries and its services are used by online games and social media platforms, amongst others. With DaoPay consumers can pay for goods and digital content online using a variety of payments methods including mobile payments, SEPA, SOFORT Banking, VISA, MasterCard, Paysafecard, iDEAL, Przelewy24 and PayPal. Founded in 2012, Kompany is a leading regtech firm that provides real-time access to official and authoritative commercial register information, including company filings covering more than 100 million companies in 150+ jurisdictions. Its proprietary core engine ARTSS (Adaptive Real-Time Semantic Search) connects government registers and other KYC & AML sources. Kompany currently serves 35,000 business customers from over 100 countries, including large international banking groups, Eurozone central banks as well as the “Big 4” consulting firms.